The avatar represents the duality of flying. The Journeyman is the apprentice pilot, who studies the technical side and ensures professionalism and safety at all times. The Balladeer is a romantic, who wanders the world seeking the meaning of life, the world over the horizon and the thrill of dancing like a butterfly in the azure blue. Full of inquiry, eclectic of intellect and humanist in spirit, The Journeyman Balladeer's leitmotif is "Life has no meaning other than the meaning a man gives it by the unfolding of his powers" (Erich Fromm). He writes to entertain, and to encourage others to reach out and upwards. Above: Ready for the 30 miles (48km) of water between the island of Anholt and the Danish mainland. 2012. Below: Summer evening over Dorset, UK. Towards the close of the 2012 season. Since 2001, Andy Oliver has logged just over 1000 hours, landed and got out at 316 airfields (of which 142 have been in 10 countries outside the UK), and owned 1 x Quantum 15 and 2 x GT450s. He has also been in an Ikarus C42 syndicate. He flies out of Dunkeswell Airfield (EGTU), near Honiton, Devon, UK. 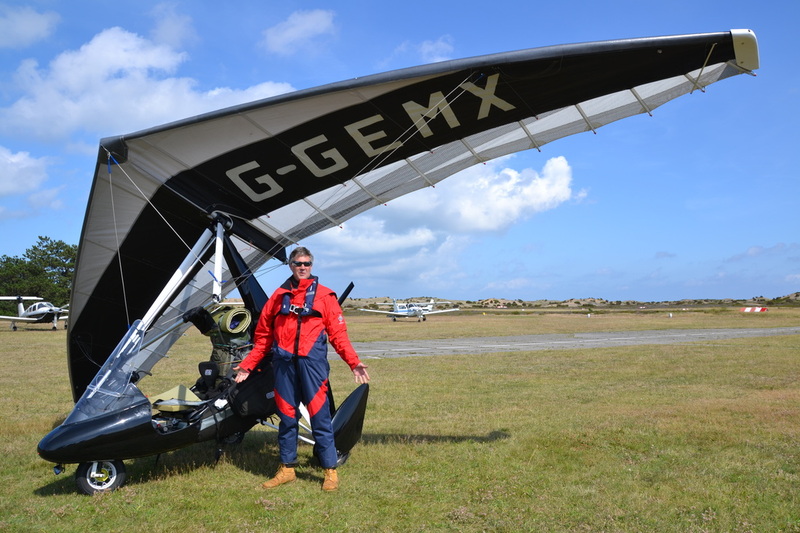 He is a member of the British Microlight Aircraft Association and his club is Devon and Somerset Microlight Club. He was awarded the Royal Aero Club Bronze Medal in 2012, for services to UK Sport Aviation. 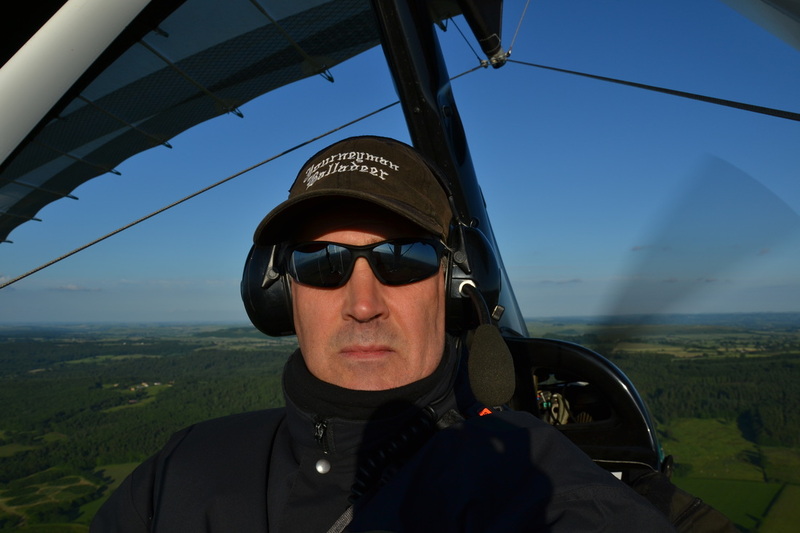 He writes for Microlight Flying magazine.